What could be more fun than spending a Friday evening playing tennis with your friends? Well, that's easy... Order pizza too! 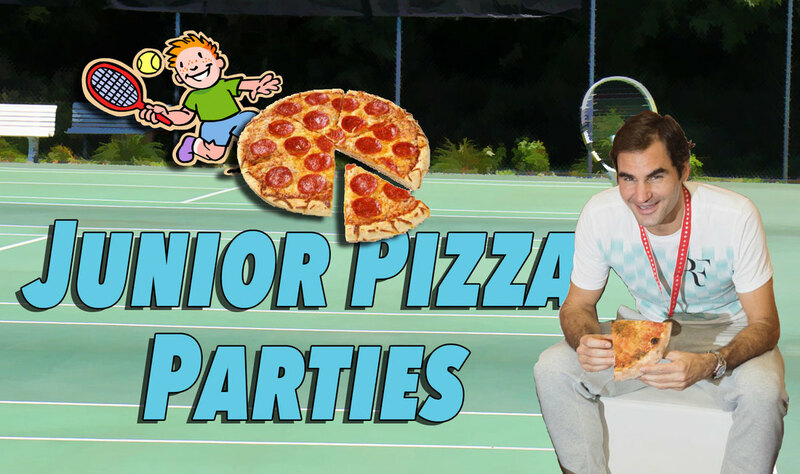 Every first Friday of the month, junior tennis players are invited to come out and play tennis and eat pizza. Kids must have experience playing matches. There is a $10 fee to cover the cost of pizza and balls. It is important that players register online prior to each pizza party by clicking the link below. By registering online, we can make sure that the appropriate number of courts are reserved and that players can be contacted in the event that the pizza party is cancelled due to inclement weather. ​If you sign up and find out you can not attend, please contact Tony, (757) 335-3301 before the party. To sign up for the next pizza party, please click the following link: PIZZA PARTY SIGNUP!